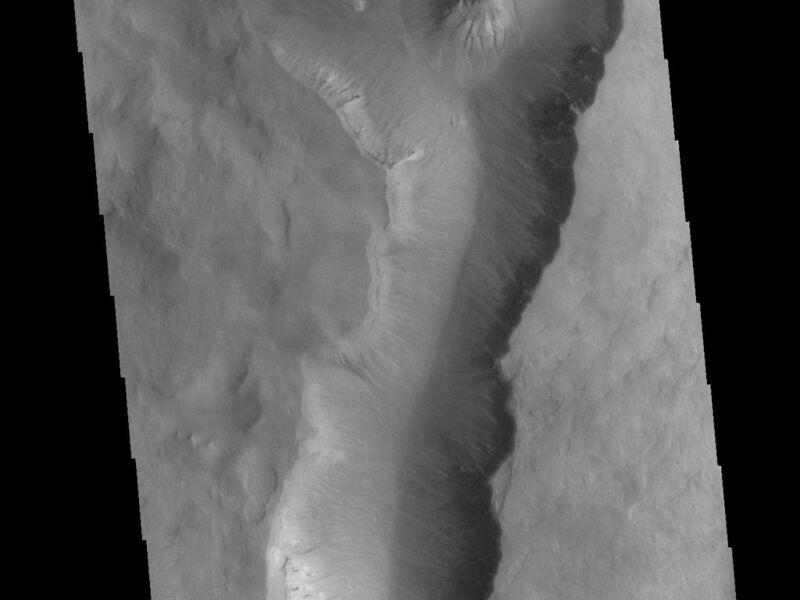 This VIS image shows a large linear depression in the center of an unnamed crater in Noachis Terra. This crater and the nearby Maunder and Asimov craters share this odd morphology. 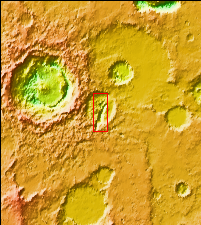 The crater floors have been filled to the rim and then depressions have occurred in that fill material. 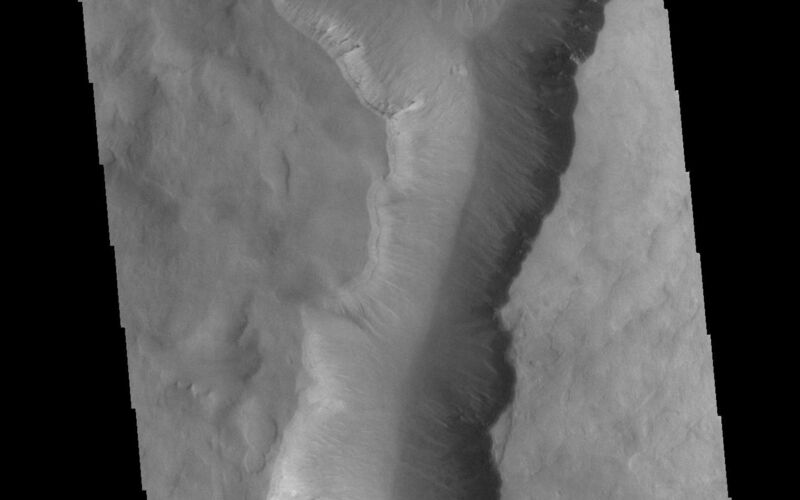 In the case of Maunder and Asimov, the depressions occur along the inner rim of each crater. In this crater, the depression is located in the middle of the crater fill.